In Muv-Luv, she is Meiya's personal maid and is able to instantly fulfill any request for her, no matter how impossible it may seem. She is followed by Kamiyo, Tomoe and Ebisu, who Shirogane calls "the three idiots." 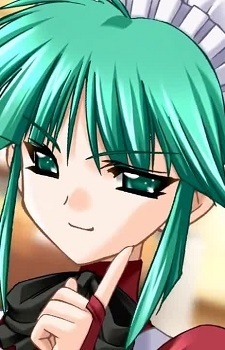 In Muv-luv Alternative, she is a first lieutenant and part of the Imperial Royal Guards. She is deeply devoted to Meiya and would do anything for her. She pilots a red Type-00F Takemikazuchi and according to Shirogane, she is likely the best pilot he has encountered.